Just like removing and installing the sink, installing a kitchen sink drain basket yourself is not a big deal and you don’t need a plumber. But it needs to be done correctly, so there are not any leaks. Depending on the size of the sink, a full sink of water can weigh 200 lbs or more. 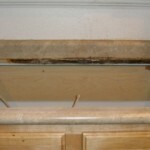 That amount of weight will expose any gaps in the putty or caulking and find a way to leak out. Figure 1. Parts of Kitchen Sink Drain Basket Assembly. The type of drain assembly I used is shown in Figure 1 with all parts separated and in Figure 2 with all parts re-assembled. It is shown again in Figure 3 assembled under the sink. The paper gasket is not shown in Figure 1. 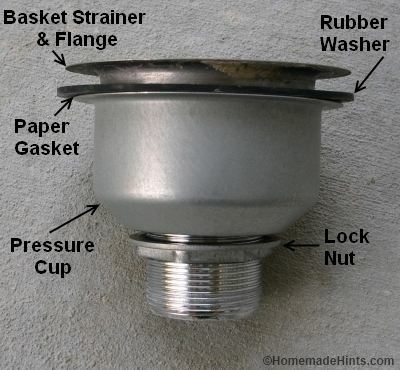 This type of drain assembly has a 2nd cup that acts as a giant washer to hold pressure against a rubber washer/gasket and the underside of the sink when the nut is tightened. 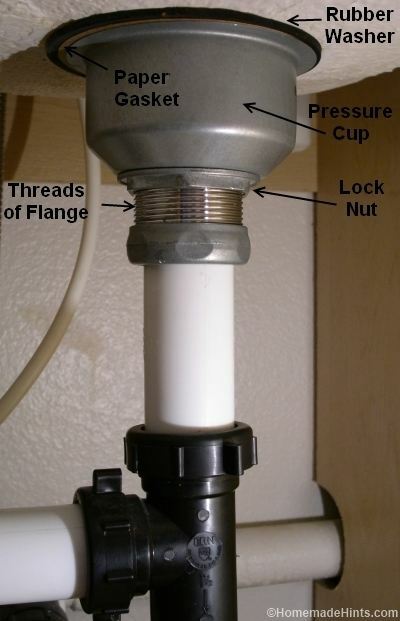 Other types of drain assemblies may just use a single nut for this purpose. Figure 2. Assembled Kitchen Drain. The basket strainer has a flange that fits on the inside of the sink and has a threaded pipe that extends out through the hole underneath the sink. The basket is the removable part that plugs the drain when you want to fill the sink with water and the strainer catches large chunks of food to prevent clogs. 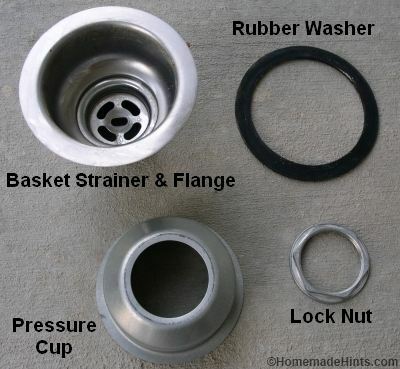 The Flange of the basket strainer goes on the inside of the sink and the rubber washer/gasket, paper gasket, pressure cup and nut are under the sink. 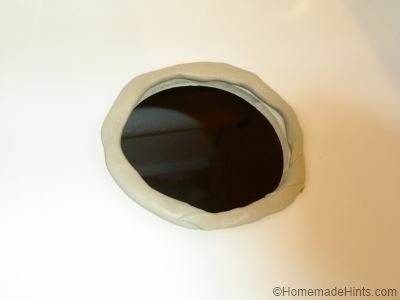 The rubber washer seals the sink from below, putty or caulk seal the flange to the sink from above. Figure 3. Parts of Kitchen Drain Assembly under the Sink. As the nut is tightened, it squeezes the lower part of the basket assembly towards the bottom of the sink and at the same time pulls the flange down onto the upper part of the sink. The threads also used to attach the drain line to the basket strainer. 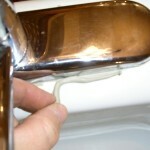 The flange of the basket strainer must be sealed on the upper part of the sink with plumbers putty or silicon sealant. Both types of sealant have their pros and cons, but either will work if installed correctly. 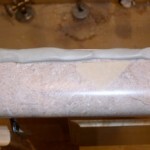 Plumbers putty will stain porous materials, like marble, so caulk must be used. Plumbers putty is easy to install and easy to clean up. It is also very easy to remove if the drain needs to be removed in the future. Silicon caulk or sealant is also easy to install, but harder to clean up, especially if it skims over and will require lots of hard work and/or the solvents to remove from the sink in the future. Remember the purpose of the putty or the caulking is keep water from leaking out of the sink from under the drain flange. The purpose is not to stick the drain to the sink. The drain assembly is sealed from below by the rubber washer/gasket. After making sure the area around the drain hole is clean, if using plumbers putty, roll a golf ball sized piece of putty between your hands until if forms a thin rope. Figure 4. Rope of Plumbers Putty Applied in Ring around Drain Hole. Apply the rope of putty around the drain hole as in Figure 4. If using caulk, apply a continuous bead around the hole. Place the flange of the drain carefully on the rope of putty or the bead of caulk, then assemble the parts of the drain as shown if Figures 2 and 3. On the underside of the sink, make sure the rubber washer is against the sink and the paper gasket is between the rubber washer and the cup or nut that contacts it from below. The paper gasket is a friction gasket, the purpose of which is to allow the cup or nut to slide easily past the rubber washer as the nut is tightened. The paper gasket does not go between the flange and the sink on the upper side of the sink. If using plumbers putty, tighten the nut completely and then clean up excess putty as shown in Figure 5. Figure 5. Installed drain assembly showing excess plumbers putty. If using caulk, tighten the nut only part way until caulk starts to compress and starts to squeeze out. Allow the caulk to skim over then tighten the nut completely. It helps to holding the basket with needle nose pliers so it does not rotate while tightening the nut. If your arm is not long enough, you may need a helper. For a professional look, make sure any brand names or logos that show on the flange are centered and upright. After clean up, fill the sink and check for leaks. Chances are, if there are no leaks now, the drain will not leak for many years unless the sink are is vibrated by a washing machine or drier. Just make sure to check under the sink on a regular basis to make sure there are no leaks from any source. We had a fairly expensive band name faucet that started leaking. The faucet would have to be repaired or replaced, but my failure to check under the sink allowed a small leak to turn into a larger problem. Is it a big problem if I didn’t use the paper gasket? If there are no leaks, then it won’t be a problem. The paper gasket just helps with relieving the friction between the rubber gasket and the metal lip of the pressure cup so that it doesn’t “kink” when tightened. If you were able to get a tight seal without the paper gasket, then it should be okay. Of course, be sure to check for leaks once you turn the water back on. I have a strainer that leaks and every time. What am I doing wrong? You may not be getting a proper seal between the sink and strainer. Where exactly is it leaking? 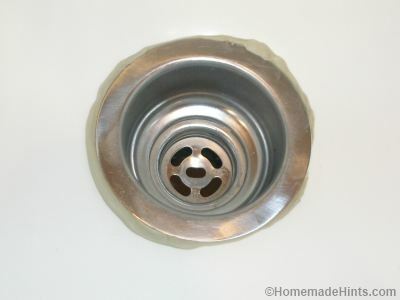 I am trying to remove the drain assembly similar to the one in your photos so that I can install a garbage disposal. I got the lock nut off but can’t get the pressure cup to budge. I tried twisting it by hand and also tapping it with a rubber mallet and it just won’t come loose. I have an integrated corian sink and am reluctant to use to much force out of fear that I might damage the sink which would then require replacement of the entire countertop. Frank – Once the lock nut is off, it shouldn’t be that hard to remove the pressure cup. It should just pop out with little force so I’m not sure why yours is stuck. And yes, I wouldn’t want to apply too much force for the same reason of damaging the sink. The only thing I can think of is that some kind of sealant was previously applied where it shouldn’t have. “Thanks. I’m going to try heating it with a hair dryer and slipping a putty knife between the gasket and sink. Hopefully that will do the trick. If not, I’ll have to call in a plumber…. The lock nut on my drain is about 5 inches in diameter and I have nothing that can grab and turn it. And it is locked in place and will not turn. Should I use a chisel and a hammer to tap one of the “ears” on the locking nut to loosen it up? Or is there a tool that will facilitate removing the locking nut? There is a locknut wrench made specifically to get it off. We didn’t have one either, but we were able to use a pipe wrench that was big enough to get it off. I used putty but didn’t use enough. So I put clear caulk on the top. How long will it hold? Did you put the caulk on top of the putty?